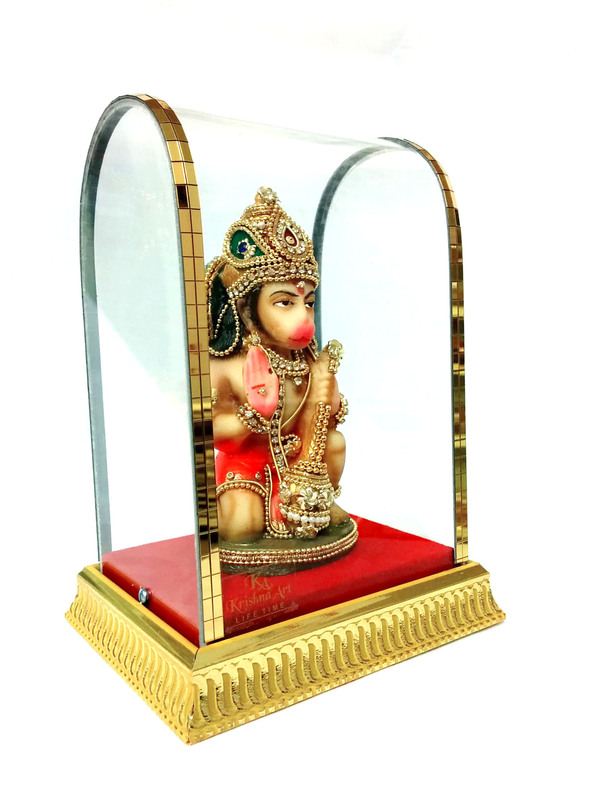 Lord Hanuman is known as the god of strength and power. His devotion and loyalty to Lord Ram is told throughout the scripture of Ramayan. This beautiful statue of lord Hanuman, has him carrying his Gadha (weapon). The statue is encrusted with stones all over and comes inside of a glass case. It is perfect to place in your house or as a gift to a loved one. 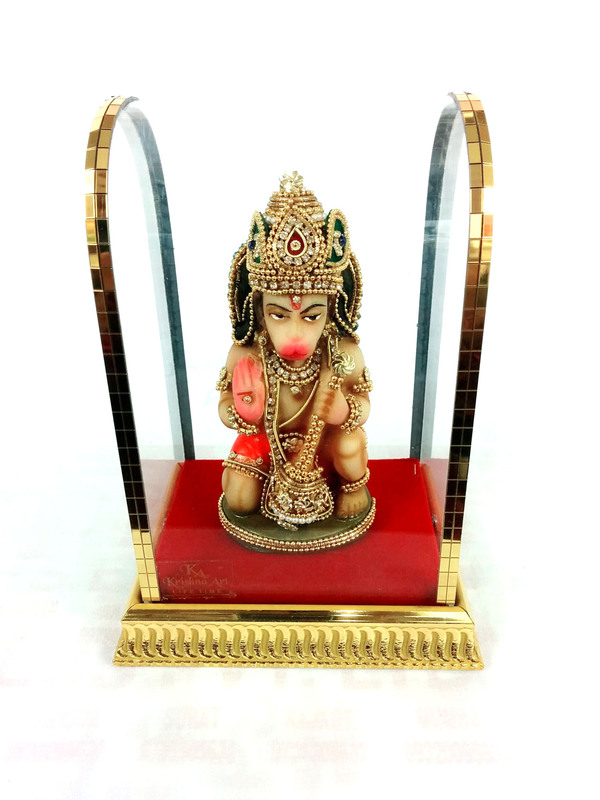 This item in Religious Figurine & Sculptures category was first added to our catalog on 12-15-2015. 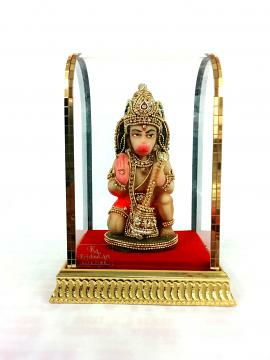 Buy Idol of Lord Hanuman with Gadha, sold & shipped by Namaste where you can shop online for Indian Gift Store: Handicraft, Home Decor, Wedding, Rakhi & Diwali Gifts. 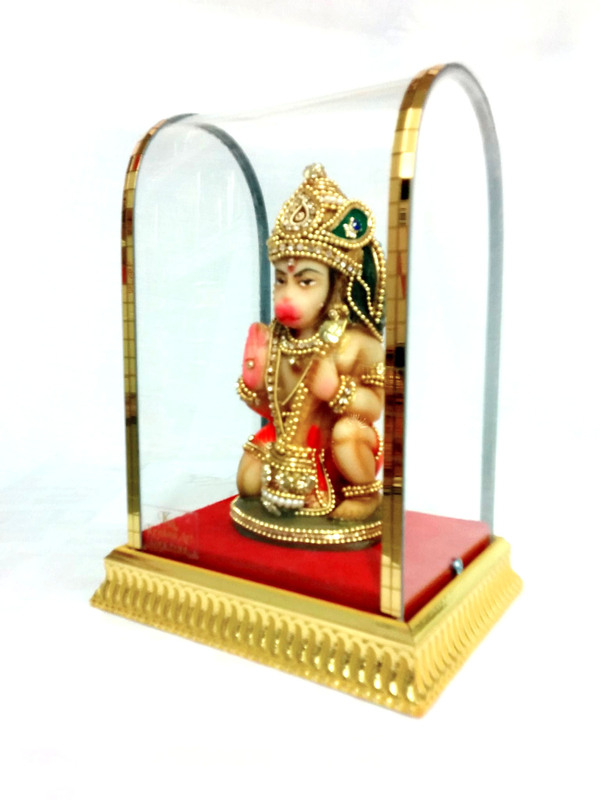 This Idols & Statues collection has been tagged as pooja room decoration, home decor gift, religious spirituality hindu religion, monkey god,traditional gift, murti of hindu god, hanuman, Ram. Stone Embedded Lord Hanuman Murti Idol - 7"